Speaking first to the trailer’s length, Nomura chatted with Famitsu.” The editing of the D23 trailer is being finalized right now,” English translations read, "but I think that not only it will be longer than the orchestra trailer, it will also show some new elements that should meet everyone's expectations.” As a part of these new elements, Nomura touched on combat scenes that may offer slight differences between the U.S. and Japanese versions of the clip. Not only will the next trailer offer more content than this month’s, but it’s what Nomura said to fans attending Sunday night’s orchestra concert that has us most intrigued. Per his translator at the event, it was said that the D23 showcase will offer “final information” about the game. Because we’re dealing with a language barrier, there are lots of things “final information” might mean. The most optimistic fans have suggested the possibility of a final release date reveal, while it could just as easily tease the final Kingdom Hearts III details of 2017 or the final news update in this latest round of press. Considering recent projections at Square Enix suggest Kingdom Hearts III will be out “in the next three years or so,” we’re not expecting too much beyond a release year at best. As stated in the most recent clip, fans should also anticipate the reveal of a brand new Kingdom Hearts III world as well. The trailer shows a silhouetted Sora to offer a small clue for what might be coming, but not much has been discovered beyond total speculation. Kingdom Hearts III ’s D23 trailer is set to debut July 15 during Disney’s “Level Up” games-focused showcase. The proceedings are expected to begin around 4 p.m. EDT. In addition to Kingdom Hearts III, it’s not too unlikely to expect an update on other Disney-franchise titles including Star Wars Battlefront II, Marvel’s Spider-Man and possibly The Avengers game in development at Crystal Dynamics. 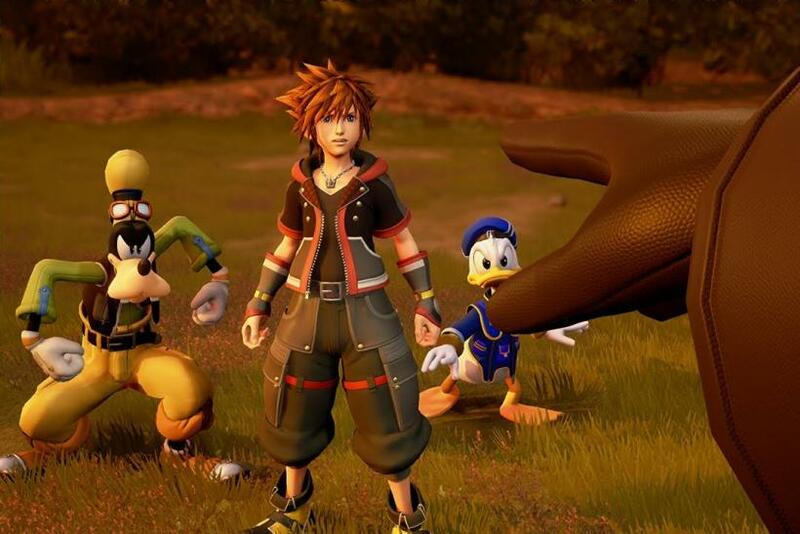 While Kingdom Hearts III technically wasn’t present at E3, Nomura believes there was “a lot of misunderstanding” about its exclusion from the convention. “The choice to show or not to show something is up to the ones making the conferences,” he told Famitsu, “we just used the timing of the concert being at the same time as E3 to announce it.” In other words, Nomura couldn’t fit the game into Square or Sony’s established conference plans, so he delivered the trailer directly to fans instead. Kingdom Hearts III is in development for PS4 and Xbox One. What do you want to see from the Kingdom Hearts III D23 trailer? Which Disney-themed world will be revealed? Tell us your predictions in the comments section!